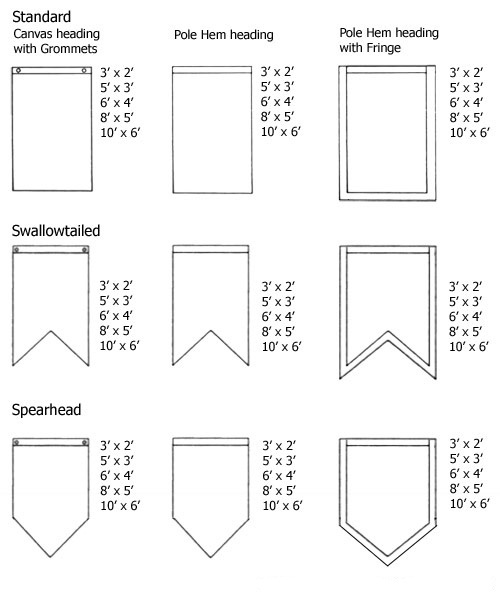 The following diagram illustrate some basic banner shapes. 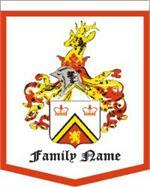 A banner may be made in vertical portrait shape or horizontal landscape shape. Often the space in which the banner is displayed will determine the specific size and shape (whether portrait or landscape) for a banner application. Generally when we think of a banner in terms of attachemnt, we say the banner hangs from a pole or cable support, or is attached to a wall, fence, or building surface. The method of attachment and display will determine the positon of banner structural components such as grommet positon, heading location, and angle shape.